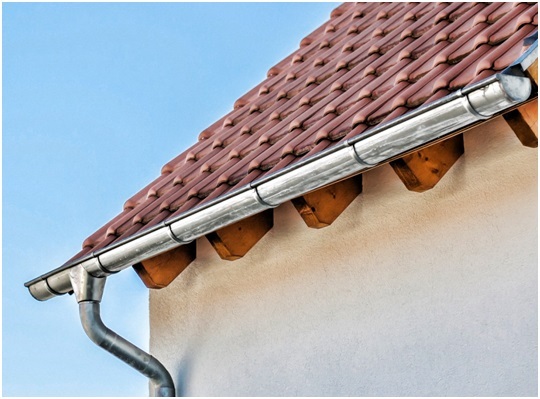 Here’s a brief overview on your gutter system, and the benefits of seamless gutters. Ideally, rainwater flows down to your roof, into your gutters, and out through your downspouts. This deposits rainwater safely away from your home. Since your gutters perform their job round the clock, these are susceptible to wear and tear. This is particularly true if your gutters have seams, which are vulnerable to leaks. Leaks can lead to several problems. Rainwater can saturate the soil around your foundation, causing cracks to form. Rainwater can also soak your siding and windowsills, causing both to rot. As the expert in gutters and roofing in Tinley Park, IL, we recommend installing our seamless gutter system. Seamless gutters won’t leak from their seams because these don’t have any. We manufacture each system from one long piece of metal. This gutter system is custom made for your home’s exact measurements. It will fit perfectly without the need for unsightly seams. In addition, our seamless gutters are beautiful. These feature a baked-on enamel finish that never needs painting. You will also have many colors to choose from, so matching your exterior’s color scheme will be easy. Finally, as the expert in Munster roofing and gutters, we can finish most gutter installation jobs in as little as one day. You can enjoy the benefits of your new gutters immediately. Aside from seamless gutters, we can install the Leaf Relief® gutter protection system. This product prevents leaves, twigs, pine needles, and other debris from entering your gutters and causing gutter clogs. Give us a call if you’d like to learn more about seamless gutters or to get a free estimate.